The beautiful French city of Avignon is a great place to visit! It is extremely popular among tourists due to its historical importance and fantastic landmarks. The city lies in the department of Vaucluse, in the south-eastern part of the country. Nicknamed the “City of Popes”, the wonderful city is the capital of the department and its largest settlement. It has preserved its historic centre, ramparts, its famous bridge and wonderful papal palace. Visiting Avignon is with no doubt a memorable experience. If you would like to visit this World Heritage Site, I suggest you to read this before traveling. It will serve as your best tourist guide to Avignon. You probably know that Avignon used to be the home of popes and antipopes from during the Catholic schism, between 1309 and 1423. The wonderful The Papal Palace (Palais des Papes) used to be their residence during the 14th century. As one of Europe’s largest medieval Gothic structures, the wonderful palace is an extremely popular landmark of Avignon and the whole region. 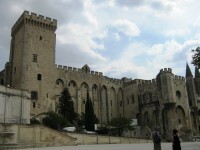 Together with the historic centre of Avignon, the palace was inscribed on the list of UNESCO’s World Heritage Sites. The palace attracts today about 650.000 visitors yearly, being one of the most visited attractions of France. The impressive palace stands on the square with the same name. 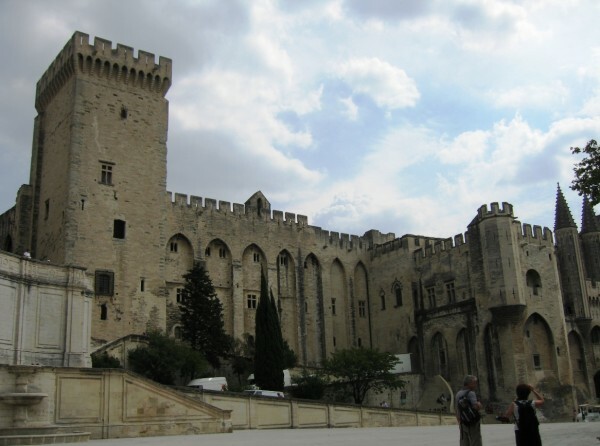 If you visit Avignon, the palace will surely be the first sight you will want to see. 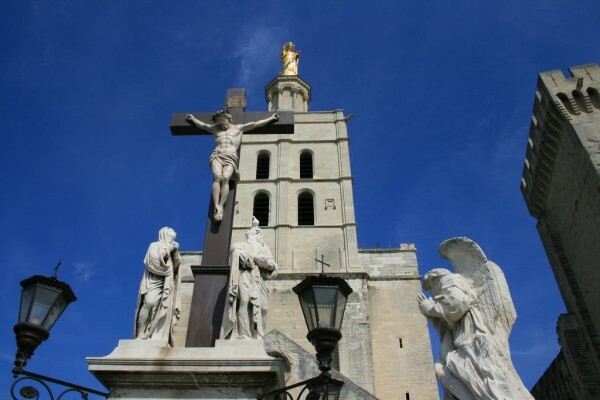 Avignon’s cathedral, the Notre Dame des Doms is another magnificent landmark of the city. The Romanesque building’s major part was built during the 12th century. The Roman Catholic cathedral is a French National Monument. The main highlight of the cathedral is the wonderful statue of the Virgin Mary. The interior of the cathedral is also very attractive, housing some magnificent works of art. The Gothic carving, Pope John XXII’s mausoleum is perhaps the most beautiful one. The famous bridge, the Pont d’Avignon is another popular visitor attraction of the city. 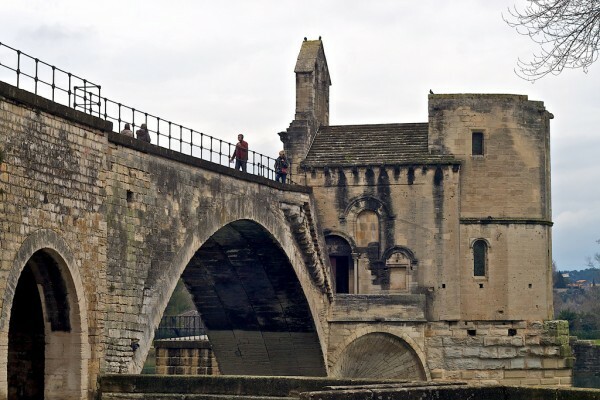 The medieval bridge is also known as the Pont Saint-Bénezet.It is a very important landmark of Avignon which used to span the Rhone River between Avignon and a smaller commune (Villeneuve-lès-Avignon) during the 12th century. Of the original bridge there only remained four arches and the Philippe le Bel Tower. The remains of the bridge are very popular among visitors. If you are interested in museums, I suggest you to visit the spectacular Musée du Petit Palais. Opened in 1976, the museum is situated at the end of the square where the Papal Palace can be found. It contains exhibits of Renaissance paintings from Italy and of the Avignon school. If you love art, I suggest you not to miss this museum.